T-Mobile has just debuted a rather interesting deal: buy a flagship smartphone from Apple, Samsung, or LG, and the carrier will shave 50% off the price of tablets from the same brand. 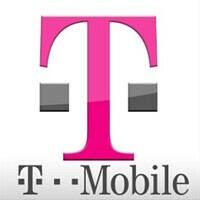 Earlier today, T-Mobile has once again amped up Music Freedom and Binge On, its zero-rated streaming services. As things stand at the moment, T-Mobile customers can now stream media from 100 video and music streaming providers without the data being counted towards the monthly quota. T-Mobile markets its new tablet-centric promotion as a celebration of this achievement, but before rushing to any conclusions, let's discuss the fine print. As with virtually every deal coming from a carrier, there are multiple caveats to consider. First, T-Mobile will only reimburse you for up to $200 through a prepaid debit card, meaning that you're out of luck if you were hoping to get 50% off the Apple iPad Pro. Second, the deal is only available to those who'll get a high-end smartphone from Apple, Samsung, or LG on a monthly equipment installment plan (EIP) with the carrier. Third, customers also need to sign up for a qualifying data plan to be eligible for the 50% discount on the tablet. Another important detail to bear in mind is that only a limited number of products are available through T-Mobile's new promotion. In the Apple camp, any iPhone can be paired with any iPad. In the Samsung camp, the Galaxy S6, S6 edge, S6 edge+, Galaxy S7, S7 edge, Note 4, and Note 5 can be paired with a Samsung Galaxy Tab A 8.0 or a Galaxy Tab S2. Customers getting the LG V10 can get 50% off the LG G Pad F 8.0. Unfortunately, we don't see the LG G5 being mentioned as part of this promotion, which is a bummer, given that the G5 is the current-gen LG flagship. At the moment, this promotional offer is only available through T-Mobile physical stores, authorized T-Mobile dealers, as well as through the 1-800-T-Mobile hotline. The carrier promised to bring the promotion to its online store later this month. iPhone 5se + iPad pro 9.7 seems to be a pretty solid deal in this way. Its like getting a iPad mini + iPhone 5se or iPod touch + iPad pro 9.7. You should read the full article. The only problem with this deal, is having 2 device from the same brand, where both devices do the same thing. If it was a mix and match deal it would be cool. Since I have an iPad, I wouldn't want an iPhone because it defeats the purpose of the other. I would rather have an iPhone + Galaxy Tab or a S6 Edge+ with an iPad Mini as an example. But it is a good deal too as you get 50% off the tablet of your choice. But would be better if you can mix & match.